Employees of any organization must comply with certain guidelines – industry regulations, international or regional regulatory policies, and norms. 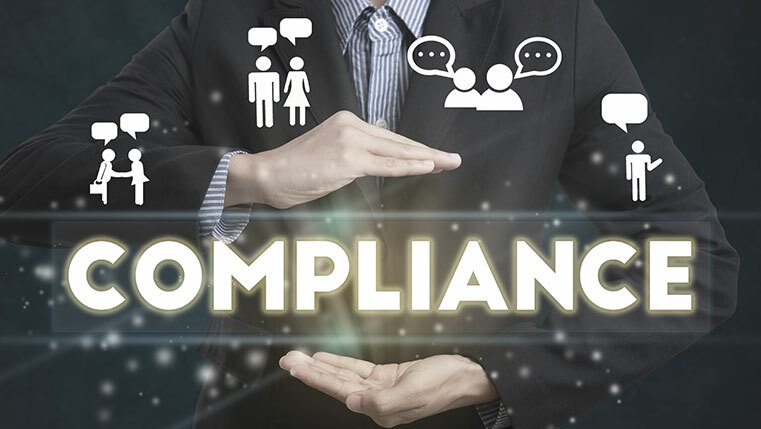 To ensure employees comply with these guidelines, organizations invest thousands of dollars in online compliance training. However, most often than not, these online compliance training courses turn out to be boring as they contain too much legal information with complex jargon. Also, they are mostly page turners as shown in the cartoon with no interactivities. Such courses are not effective in facilitating knowledge transfer and learners find them quite boring. But, when training is vital, organizations cannot let boredom kill it. Here are 3 instructional strategies that help fight boredom and make online compliance training as engaging as it’s important. Who doesn’t love stories? If we dip into our memories, we will recollect stories we’ve heard – moral stories in the first hour of school, practical experiences of teachers shared during a lesson, bedtime stories, and even stories heard in our childhood. Even as adults, we read books, watch movies, plays, and TV soaps that have great stories. We do not forget these stories easily because they engage us and stick in our memories with their settings and characters we can relate to. So, to engage your learners in online compliance courses, build a story around the compliance guidelines and norms. The story must involve real-life contexts, relevant characters, a problem, and finally how following the compliance norms will help learners avoid getting into such trouble. It must not be a short story, limited to a couple of slides; spread it throughout the course so that your learner gets the experience of watching an interesting story, rather than sitting through a COMPLIANCE TRAINING. While you now know that storytelling can be an effective way to engage learners in an online compliance course, you must also know the basic tips to be considered while creating stories. Here is a blog that shares 5 Tips for Storytelling in E-learning. At school, we were always guided in training sessions – be it the chemistry experiment in the lab, or a tennis shot on the court. But as we grew up, we started becoming independent and learning without the need of a guide – we simply Google any need. Organizations are also gradually moving from instructor-led training to self-paced online training. However, when a subject is alien and boring like compliance, learners tend to skip or skim through it swiftly, ignoring its importance. Also, if they are unsure of some rule or its application, they have no ready help at hand. In such situations, guided learning can be a perfect solution to engage learners and take them through the course. Guided learning, as the name suggests, is a way of guiding a learner through the course. A vector or 3D character (avatar) acts as a guide instead of a real person. For example, an avatar of a safety officer can guide learners through a Personal Protective Equipment (PPE) course so that learners do not miss out on any information and cover all the learning objectives. This method is an effective way to beat the isolation of online learning. Once you choose guided learning as your instructional strategy, you face the challenge of selecting an appropriate avatar. Here is a blog that can help you – Guided E-Learning: The Key to Guided Instructions in E-learning. According to adult learning principles, adults are self-directive. They love to explore and discover new things, and when they discover new things, they remember for a longer time. So, to engage learners in a boring online compliance course, design it in such a way that it provides opportunities for the learner to explore and discover information. For example, allow the learner to virtually explore each hazardous area in a manufacturing plant and discover the various hazards, first aid measures, and safety measures available in that particular area. In a classroom setting, you can use many strategies to engage your learners; with e-learning, you have these 3 instructional strategies. Use them based on your learners’ needs and the topic to fight boredom and make online compliance training as engaging as it is important.